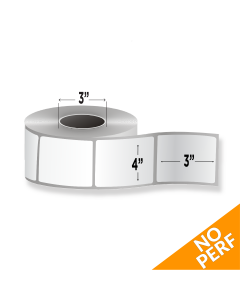 Direct thermal printing offers the perfect balance of affordability, ease of use, and permanence for numerous industrial applications. 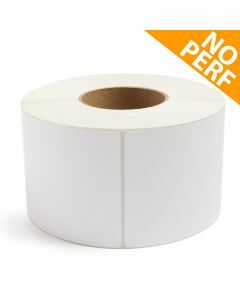 Since it doesn’t need a thermal ribbon, this print method has only one component to refill - the heat-sensitive labels themselves, which are catalyzed into printed form by the hot print head. This method uses no ink, ribbon, or toner. 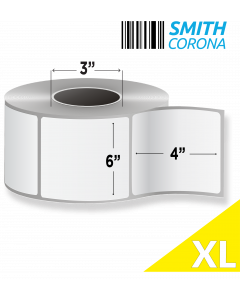 The label is all you need to start printing today. Smith Corona print and apply direct thermal labels are perfect for all types of automated print-and-apply applications. Print-and-apply technology offers the greatest efficiency in operations, and Smith Corona is proud to supply the best print and apply labels on the market. 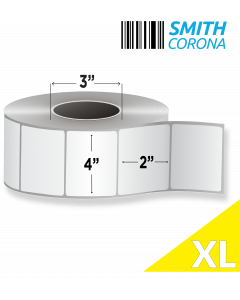 The Smith Corona supply chain is renowned for its efficiency and intelligent economies of scale. Through our high-efficiency operation, we pass incredible savings directly to you, our customers. The result is the best prices on the market. 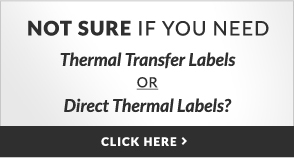 If you need any help choosing the right labels, give us a call at 800-875-7000 or email us . Our customer service staff will help you find exactly what you need. Our goal is to consistently offer our customers both excellent products and a world class online shopping experience. For that reason, we offer a 100% satisfaction guarantee with every order. However, sometimes it's best to hear from real customers about their experience dealing with us. Listed below are some real, verified reviews that some of our past customers have left about Smith Corona. Looking for Typewriter Supplies / Service?